LeAnn’s powerful keynotes and seminars share life-changing lessons from her Vietnam Orphan Airlift adventure. Imagine bombs falling and 100 little babies laying three and four to a cardboard box, strapped in the belly of a gutted cargo jet! An ordinary person, LeAnn struggled through extraordinary circumstances and found the courage to succeed. Believing we all have individual “war zones,” she inspires people to balance their lives, truly live their priorities, and make a difference in the world. Her book, This Must Be My Brother, details her daring adventure of “Operation Babylift.” After this story was featured in Chicken Soup for the Mother’s Soul, LeAnn became one of Chicken Soup’s most prolific writers. That’s when Jack Canfield of Chicken Soup for the Soul fame called and asked her to co-author Chicken Soup for the Nurse’s Soul. When it hit the New York Times Best Seller list, she went on to co-author 13 more Chicken Soup titles. She has also authored Balancing Life in Your “War Zones” and SelfCare for HealthCare, Your Guide to Physical, Mental, and Spiritual Health. LeAnn Thieman is a nurse of 30+ years, and it is her goal in life to help her colleagues to sign on, stay on, and not burn out. Caregivers will be renewed, restored, and recommitted. Whether she is speaking to an entire hospital system or a healthcare leadership team, LeAnn customizes each of her programs to help each organization reach its goals and nourish each participant’s mind, body, and spirit. Most nurses didn’t choose their professions because of the great hours, pay, and working conditions! LeAnn Thieman reminds them why they did choose the nursing career…and why they stay. Her new SelfCare for HealthCare™ initiative and keynote, teaches them specific tools to care for their minds, bodies, and spirits. She helps reduce burnout (40 percent of hospital nurses score high in burnout. High levels of burnout adversely affect patient outcomes and satisfaction); boosts morale (36 percent of nurses are dissatisfied with their jobs); increases nurse retention (20 percent of nurses intend to leave their jobs within one year.) 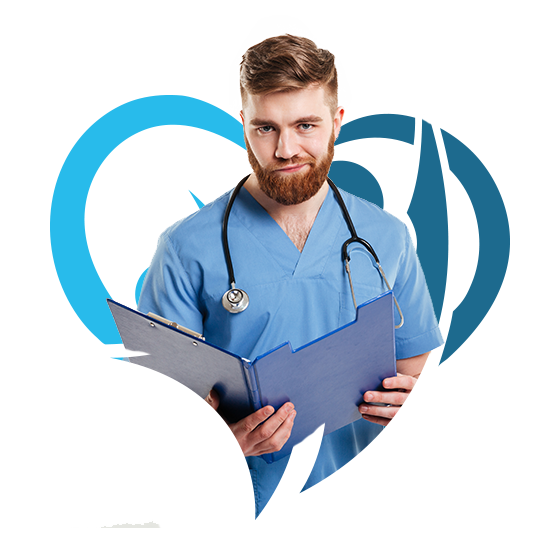 All leaders agree that a nurse who is strong physically, mentally, and spiritually will deliver better patient care, resulting in better patient outcomes and customer service, higher satisfaction scores, and ultimately, reimbursements. The best way to care for the patient is to care for the nurse. By sharing stories from her best-selling Chicken Soup for the Nurse’s Soul, and her own 30+ years at the bedside, LeAnn teaches selfcare strategies while she uplifts and honors nurses and champions their daily contributions and sacrifices. Renewed and recharged, they sign on and stay longer, which bolsters nurse recruitment and improves retention, patient care, and the hospital’s bottom line. Balancing Life in Your “War Zones” or Lessons from 100 Babbling Bawling Babies! Vietnam to the “war zones” in our professional and personal lives today…too much to do, too few resources, too many regulations! This poignant, yet humorous, presentation inspires audiences to balance their physical, mental, and spiritual lives; truly live their priorities, and make a difference in the world. In the end, LeAnn applauds them as the heroes! While rewarding, care-giving requires tremendous emotional, physical, and spiritual stamina, making burnout an everyday challenge. In Chicken Soup for the Caregiver’s Soul, LeAnn Thieman offers remedies by encouraging nurses to care for themselves as devotedly as they do for others. By sharing stories from Chicken Soup for the Caregiver’s Soul and her own life experiences, she fills caregivers with hope, courage, and strength, and honors them for the difference they make in the world. Scientific studies prove positive thinking and visualization promote mental, physical, and spiritual health. By sharing medical research and her Airlift experiences, LeAnn empowers audiences to improve their health by improving their attitudes. In this deep-dive interactive seminar, LeAnn, a former childbirth educator, teaches how labor tools – breathing, relaxation, positive thinking, visualization, prayer and meditation, and management of time – apply as we “labor” through everyday life. Engaging employees in recruiting and retaining staff builds better teams and increases satisfaction and retention. If every nurse helps hire and/or keep one nurse, we can end the shortages. In this interactive session, LeAnn shares proven strategies from her Each One Reach One Nurse initiative, giving over 150 concrete tools for retaining and recruiting nurses, then brainstorms more ways to find and keep outstanding nursing staff.